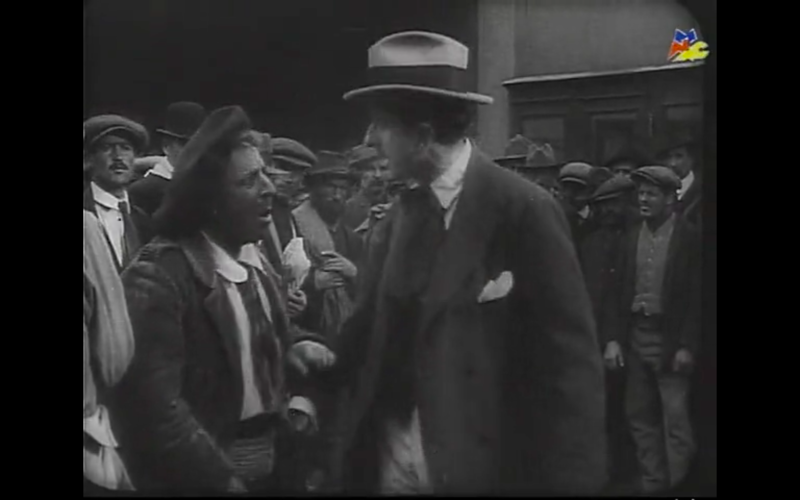 The gentle notes emanating from Antonio Coppola’s pianoforte softened the harsh reality that was depicted in Febo Mari’s L’Emigrante (1915). The film couldn’t have been more different than the one it accompanied in the splendid Febo Mari double bill that graced the Teatro Verdi’s screen Sunday afternoon. 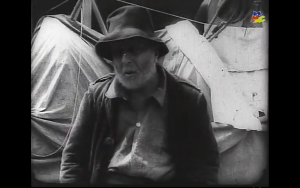 The mythological work of poetry Fauno (1917) shifts between the first-world problems of the art-inclined upper class and the unbridled love present in the dream realm; L’Emigrante shows us the trials and tribulations of a poor old man on his move from a small Italian village to South America, seeking work to support his family. Straightforward and realistic, the film presents an unsentimental portrait of the harsh conditions immigrant laborers work(ed) in and the chilling shrewdness with which their employers operated. 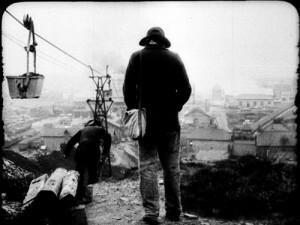 Mari clearly took a note out of Émile Zola’s playbook, for the themes and execution of Germinal echo strongly in L’Emigrante, two years after Pathé’s Albert Capellani debuted the film adaptation. 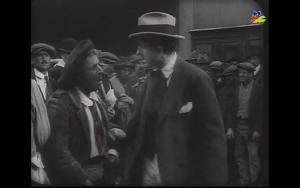 Films are always a good barometer for societal context, so looking at L’Emigrante exactly 102 years later, one wonders what has really changed since 1915? 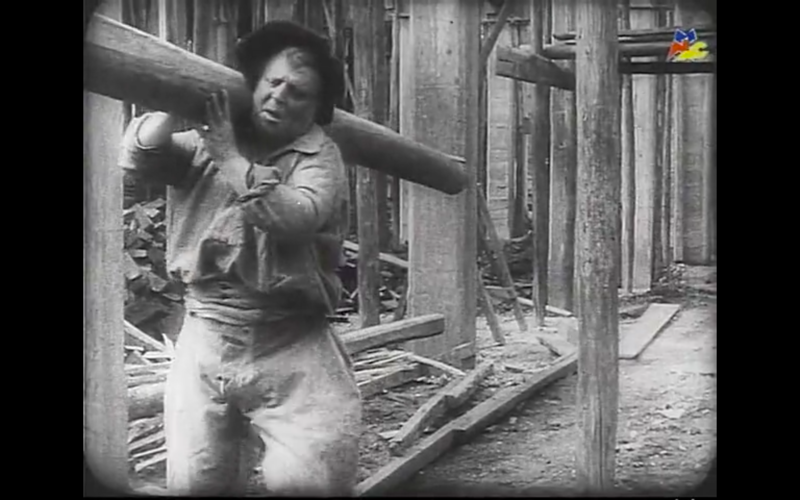 In an 18 January 1915 New York Times piece entitled Immigrant Bone and Brawn, the author ponders the merits of the impending 1917 Immigration Act (also known as the literacy act) that would force many future “illiterate” migrant workers – meaning they did not read or write English – into even more dangerous and illegal workplaces. The article is a plea to stop nonsensically believing that an immigration ban would be a good idea for a country that needs laborers willing to do the work that “literate” men and women no longer want to do. It points out that, in fact, migration numbers have stalled for a while and that this is hurting the country. But, of course, this is in 1915, so surely these words are void of any meaning today. Labor conditions for migrant workers have, of course, also improved drastically, with a minimum wage of $100/hour in the United States and free health care and maternity leave for all. I kid, obviously. When Antonio (Ermete Zacconi) makes his move from Italy to South America, today he might as well be an Eastern European laborer in Brussels; an Ecuadorian construction worker in New York; or a Mexican farm hand in California. The film is not only highly relevant today because of its tale of migration, but also for its depiction of labor conditions. Antonio has to bribe a foreman to gain employment at his age, only to do the most hazardous work on a construction site. He is gravely injured when part of the building comes crashing down, unable to do any more work. The company lawyer visits him in his hospital bed and forces him to sign an agreement that states it was his own fault. After getting out of the hospital, Antonio and his colleagues receive their payments, only to find out that they have been docked numerous expenses and are left with a pittance. Is this where Antonio’s wife and daughter step in to take care of him? Alas, his wife has gotten terribly ill and his daughter cannot afford the medication. Strangely enough, however, the film tries to sell us on a happy ending, closing with a despondent and crippled Antonio taking the boat back to Italy. The film shows us what “lavoro migrante” looks like and it is not a pretty picture. It was a good programming move to show the film before Fauno, so as not to depress the audience too much moving ahead in Le Giornate. Fauno is decidedly not reality, it is myth; myth that is carved into stone and becomes flesh in the figure of the faun statue. The film is bookended by a tuxedoed Febo Mari, commencing the film with some light poetry before opening the curtains that contain the film. Fauno presents dreams within dreams through Pictorialist cinematography that includes a stunning moonlight landscape time lapse and many chiaroscuro shots. The film is one of very few to reverse the Pygmalion myth on the silver screen, as it are usually statues of women who come to life to proclaim that they are love. 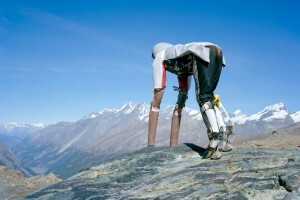 Here it is the formidable Febo Mari (not everyone can pull off goat legs, Thomas Thwaites), luring his love into a straw shack on a picturesque hill that is adorned by stone pines fighting against the light. 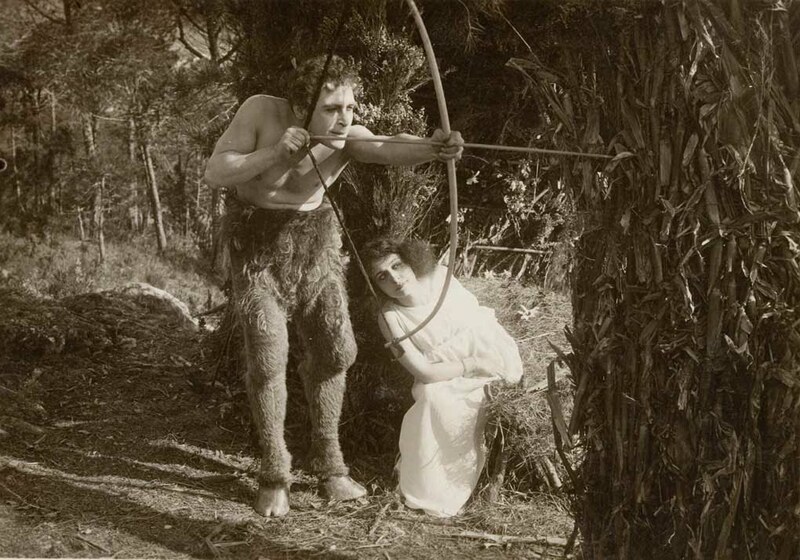 One might say that his love interest should have been glad that the faun was shot before she turned into a goat herself, though it was certainly amusing to see them both ruminating their food. but who wore it best?